The inane self-congratulatory feel-goodery of pop feminism is captured perfectly in an old Onion headline: “Women Now Empowered By Everything A Woman Does.” To the feminist Left, the obvious corollary is that everything that doesn’t empower a woman is oppressive, chauvinistic, and of course, sexist. And that’s exactly the ideological vampire being embraced by Christine O’Donnell supporters this week. Funny, I don’t recall hearing similar talk from the likes of Mssrs. Rove and Cornyn after Scott Brown won in Massachusetts, Joe Miller won in Alaska, or Rand Paul won in Kentucky. In fact, despite similar sliming by the state party apparatus before Paul’s victory Rove was downright supportive of him, saying on Fox News that Rand Paul could win the general election, just as he could win the primary. And this was after the state party did its darnedest to tear Paul apart and to make him look like an incompetent kook, in many ways similar to what the Republican political class has been doing to O’Donnell. 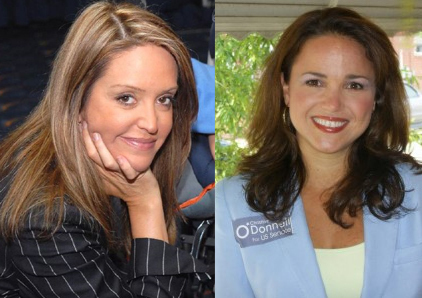 Where is the evidence that gender played a role in Beltway criticism of Christine O’Donnell? I like and respect Jeri Thompson, but twisting concerns about O’Donnell’s electability into some sort of political wilding by neanderthal good ol’ boys is out there. We can disagree about whether a candidate is “flawed,” “irresponsible,” or “kooky,” but those terms simply aren’t dog whistles designed to bring out the woman-haters. This smacks of an ill-conceived attempt to duplicate the ferocious mama grizzly support Sarah Palin garnered when her surrogates pointed out sexist attacks. Cry sexism, rinse, repeat, right? Er, no. Most Palin boosters didn’t unfairly tar her critics with identity politics-based smears. They defended her from specific, verifiable, and brutal cases of weaponized misogyny. Criticism of O’Donnell from conservatives was not akin to the treatment Palin got and deploying the same type of attack on longtime conservative allies as one would on the New York Times or Nancy Pelosi is not productive. It’s the Meghan McCain strategy for winning friends and influencing people. We hate it when she paints conservatives and Republicans with a broad brush, reinforces our adversaries’ stereotypes of us, marshals little proof in defense of either, and then asks us to merrily join hands with her as she fights for our cause. Why are we pulling a Meggie Mac on each other? While they may not be intending to be sexist, the message, the attitude and whining sure make many in the GOP look eerily like the elites we are trying so hard to usurp. The sexism issues aside, it’s time for the Washington GOP establishment to man up and stop sulking over losing — no, getting walloped — by a woman they continue to insist is unqualified despite the fact that she has a pretty big win under her belt under pretty difficult circumstances. Conservatives are rugged individuals who pull themselves up by their bootstraps. Crying sexism certainly isn’t conservative, especially when the criticism is fair. Sadly, it appears some “conservative” ladies have learned from the left that if you cry discrimination, you can change the subject, and undermine even legitimate questions and concerns. It’s fine for Jeri Thompson to use her platform to ensure female candidates receive equal treatment, but agitating for special treatment is just the sort of identity politics pitfall that ought to send conservatives screaming in the opposite direction. When we start to see a pair of X chromosomes as the functional equivalent of a Get Out of Jail Free card in politics, all we’re doing is mimicking the worst the Left has to offer. Radical feminist Andrea Dworkin once said that “feminism is hated because women are hated.” No, what people hate about feminism is the steady stream of fabricated outrage, holier-than-thou finger wagging, and the stomach-turning hypocrisy. Conservative women have every right to don the feminist mantle, but let’s make sure it’s free from the stench of faux victimhood, grievance mongering, and ginned up oppression. Leave it to the Left to cry wolf whistle.